We understand. 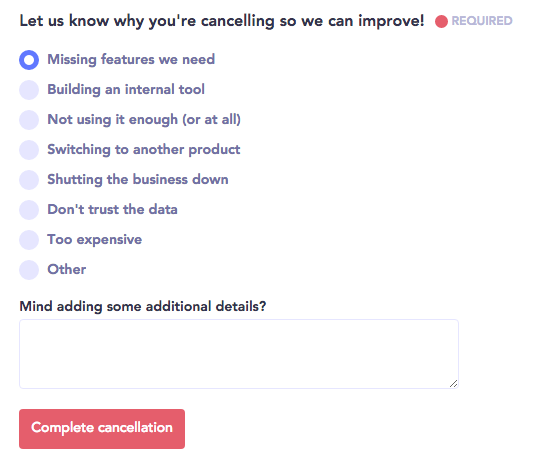 If you need to cancel your Baremetrics for one reason or another, that's no problem at all. Head to the Billing section of the Settings Page and click on Start cancellation. Then select a reason for cancelling and leave a couple of notes. Your feedback is super helpful and appreciated!